Electrical systems are one of the most important components regardless of whether it is the office or the house. Simple electrical failures with your lighting, ceiling fan, or the home automation, it creates a lot of inconveniences. And if the failure is a major one and is neglected, then it can take the shape of a massive accident, even costing the lives of people. That is why you should always be prompt with electrical repairs and get it done immediately. We, at MMJ Electric, can help. We have experienced and well-trained technicians who can provide complete electrical services with respect to your commercial as well as residential needs. With our licensed and insured services and a remarkable reputation amidst several clients, we have created a solid customer base in areas like Boca Raton, Boynton Beach, Coconut Creek FL, Coral Springs FL, Davie FL, and Deerfield Beach FL. 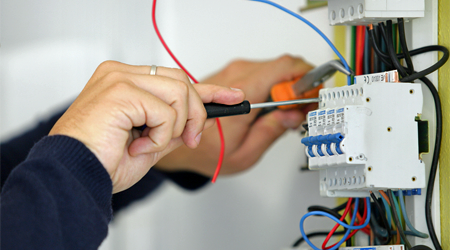 So, if you need help with repairing your electrical systems, you can resort to us without any hesitation. Here, we have put together 2 reasons to take your electrical repairs seriously and not ignore it. Take a look. First of all, any kind of electrical system failure is a major source of inconvenience. Whether it is an office or a house, there is a tremendous disruption in the work. And it also quite uncomfortable to live in this manner. Therefore, whatever is wrong should be repaired immediately and not ignored. Next, you should understand that electrical systems can lead to serious accidents if ignored. You never know what big a shape minor electrical problems may take. This could even take the lives of people or hurt them dangerously. So, you should get the thing fixed as soon as possible. So, without any further delay, you should opt for us and get a brilliant solution to all your electrical issues.